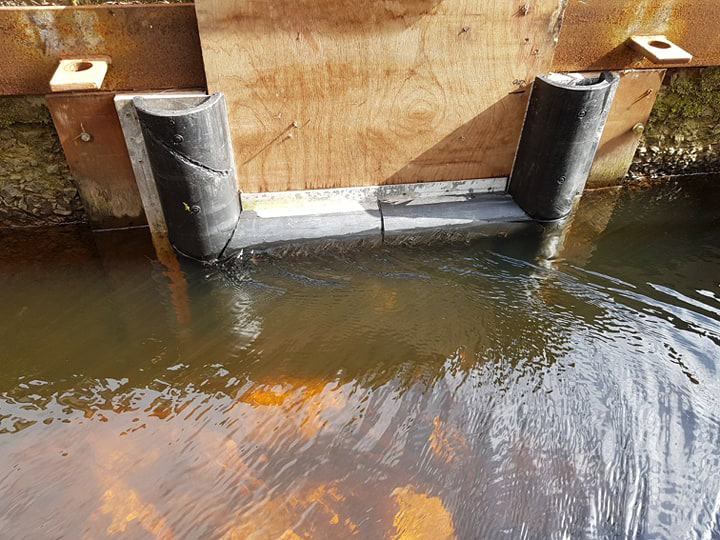 Following the last two years delays in smolt migration at Catrine dam on the Ayr, SEPA instructed the hydro’s operators to make alterations to the by-wash chamber ahead of the 2019 smolt run. This morning, ART had an opportunity to see the alterations for ourselves and although there’s still another minor adjustment to be made, fundamentally the mods are in place and they are ready for smolts. 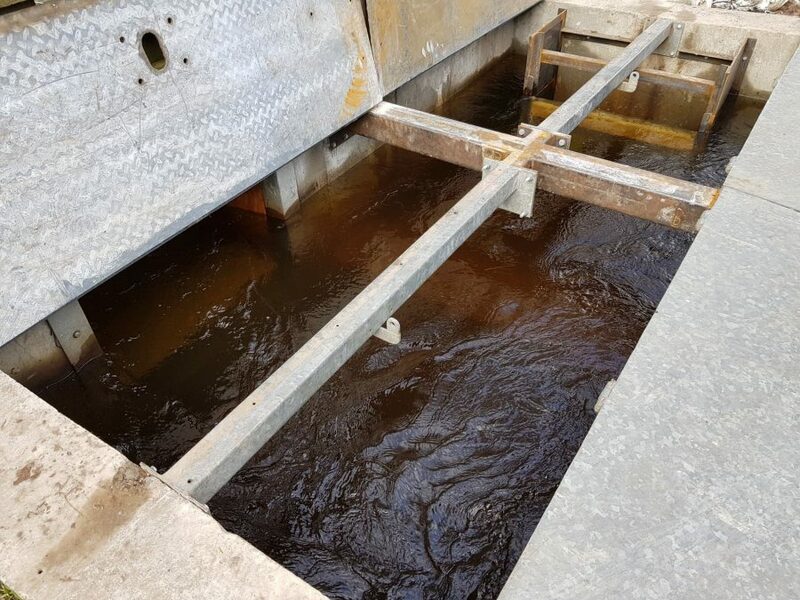 We remain concerned that smolts will be delayed as they reach Catrine on their journey downstream. Although there have been alterations to the by-wash (the route smolts are forced to take), we can’t see that they are significantly different to what was there previously so when the flows drop and the abstraction is reduced, its not yet obvious where improvements will be achieved. Of course, its too early to say so we will just have to wait and watch. 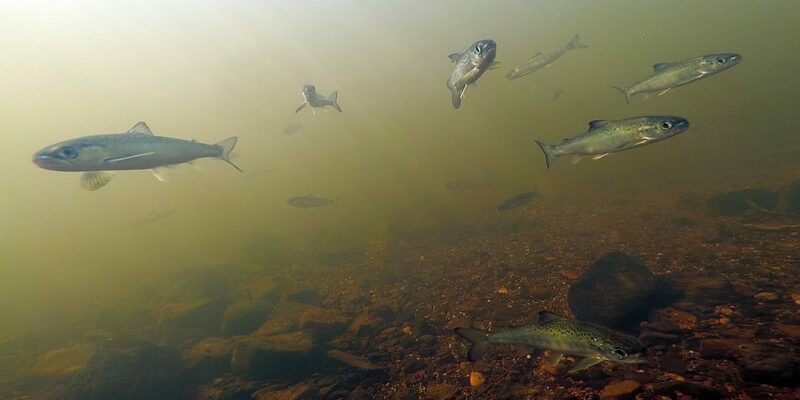 As there’s no monitoring required this year, determining the success of the modifications will fall to subjective observations and the Trust will keep a close eye on the number of fish in the lade and if any enter the voes. 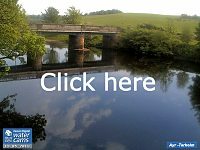 Anyone that sees numbers building between the intake penstock and the screens or in the voes, please make sure you let us know.